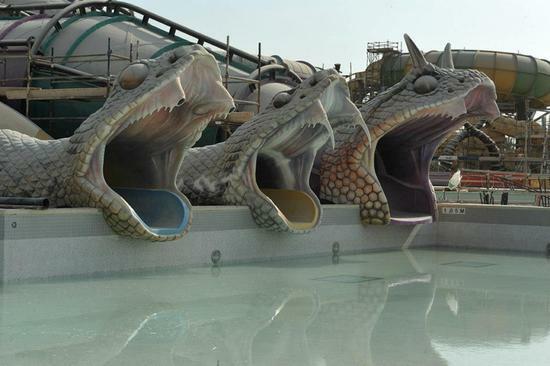 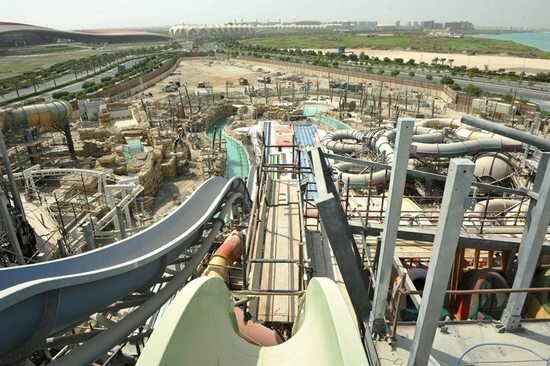 Spread across a sprawling 15-acre area, the 43-ride water park is all set to open in December 2012. 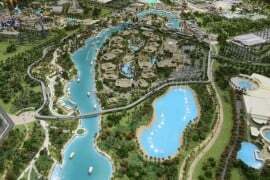 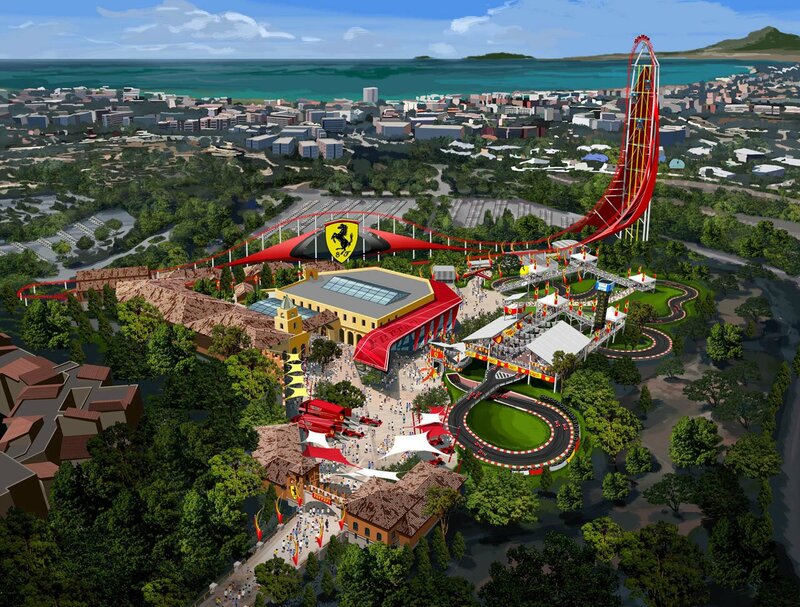 Part of the Yas Island project that also includes Ferrari World Abu Dhabi, Yas Marina Circuit, and the Yas Links Golf Course, the water park has been dubbed “world’s most exciting waterpark construction site” by the renowned online portal The Theme Park Guy. 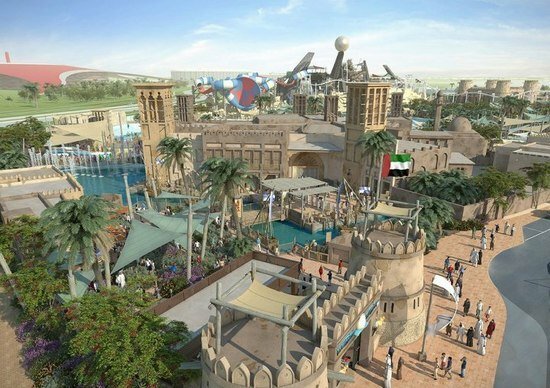 Based on The Legend of the Lost Pearl, each and every element of the park depicts the story of Dana, a young Emirati girl, who is looking to bring prosperity to her village. 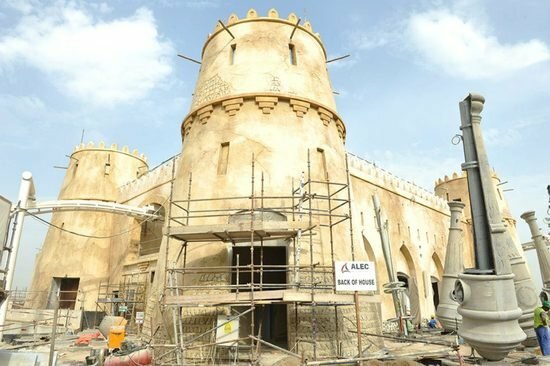 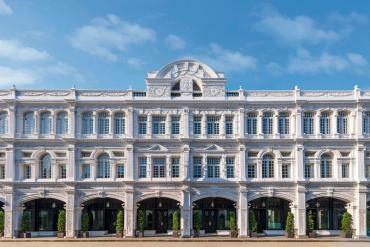 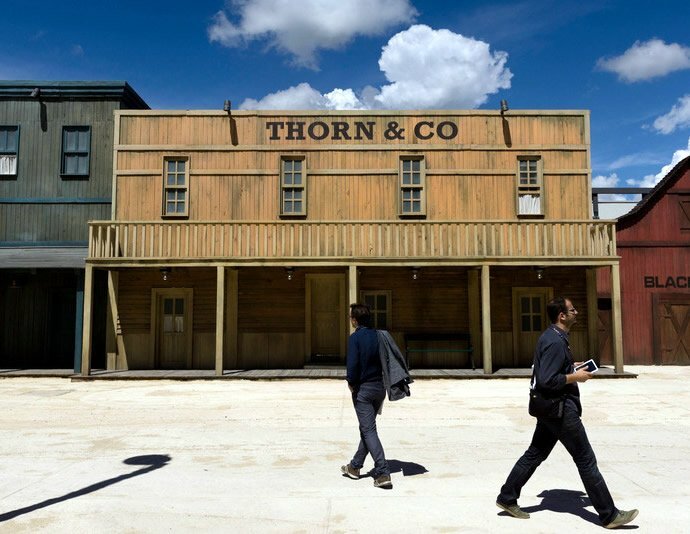 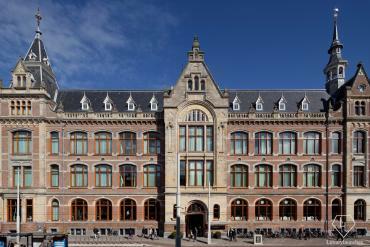 Construction began in February 2011 and now is nearing completion. 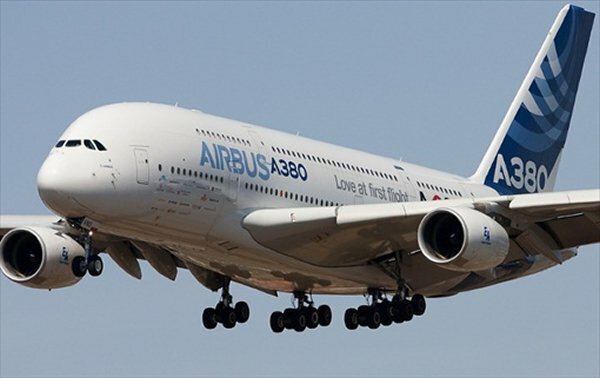 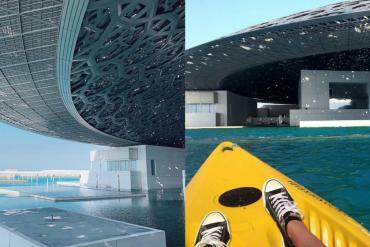 The premises also includes the Yas Hotel that features the world’s largest LED project, the waterpark is largest in the Middle East, and one of the biggest in the world. 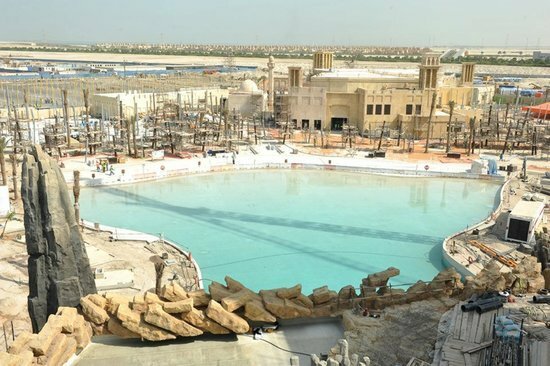 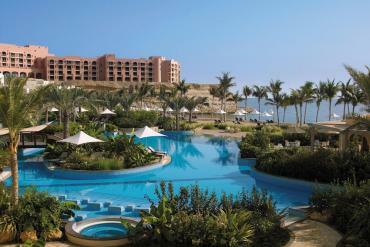 It is also is the first “green” certified waterpark in the Middle East. 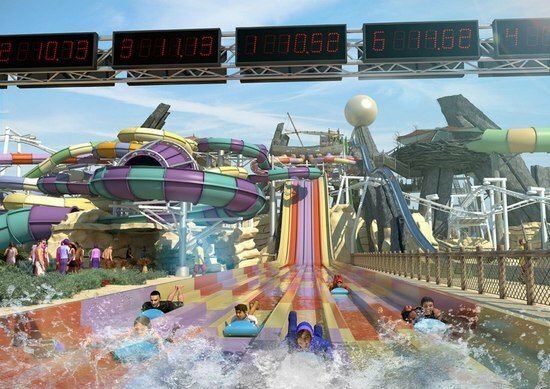 The waterpark features the Tornado, first in the Middle East, the Dawwamma ride (will create world’s 1st hydromagnetic-powered tornado) , a 20-metre high funnel that uses hydro magnetic power to propel six riders at a time uphill, the Slither slides that offer 6 different themes over 5 rides to give guests 30 distinct experiences and the Bandit Bomber, the 1st roller coaster in the world to have on-board water and laser special effects, amongst other attractions like a Pearl shop, merchandise stores, and 3 different restaurant. 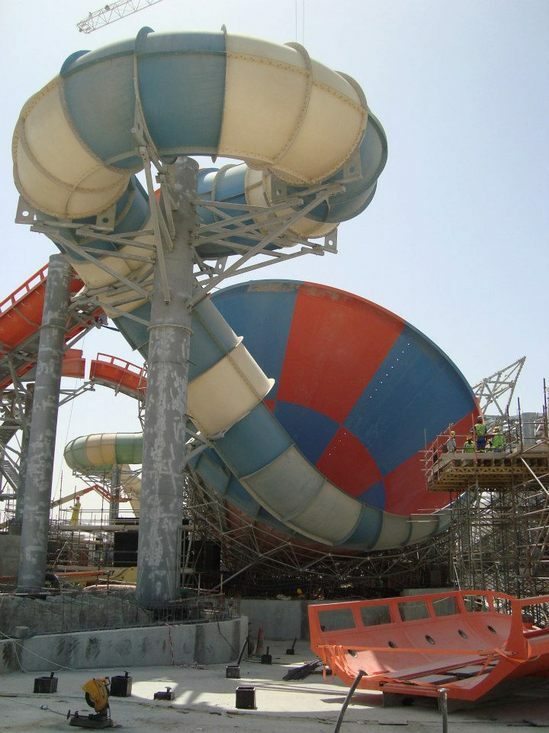 Also setting a record is the Bubbles’ Barrel which will have the largest surf-able sheet wave surf in the world! 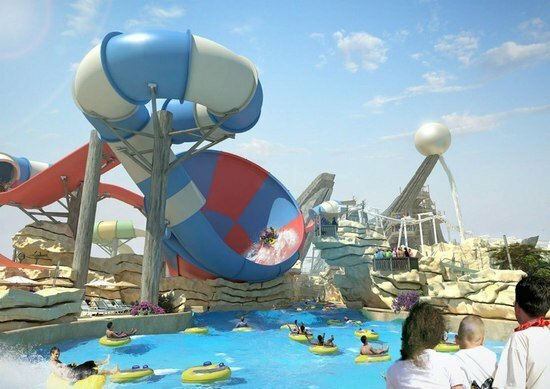 Developed by Aldar Properties and operated by Farah Leisure Parks Management, the waterpark promises to be open 7 days a week from 10 am to 7 pm and will include attractions like “women’s only night” amongst other special events.